Have you heard of SCIS, the Smart Cities Information System? The SCIS website www.smartcities-infosystem.eu brings together projects in the fields of energy, mobility & transport and ICT to stimulate the creation and upscaling of smart cities in Europe, thus providing a higher quality of life for its citizens in a clean and climate friendly urban environment. Launched with support from the European Commission, SCIS gathers information, experience, data and lessons learned (and much more!) from completed and ongoing DG ENERGY/INEA managed projects in the CONCERTO programme, Smart Cities and Communities (SCC) and Energy Efficient Buildings (EeB). 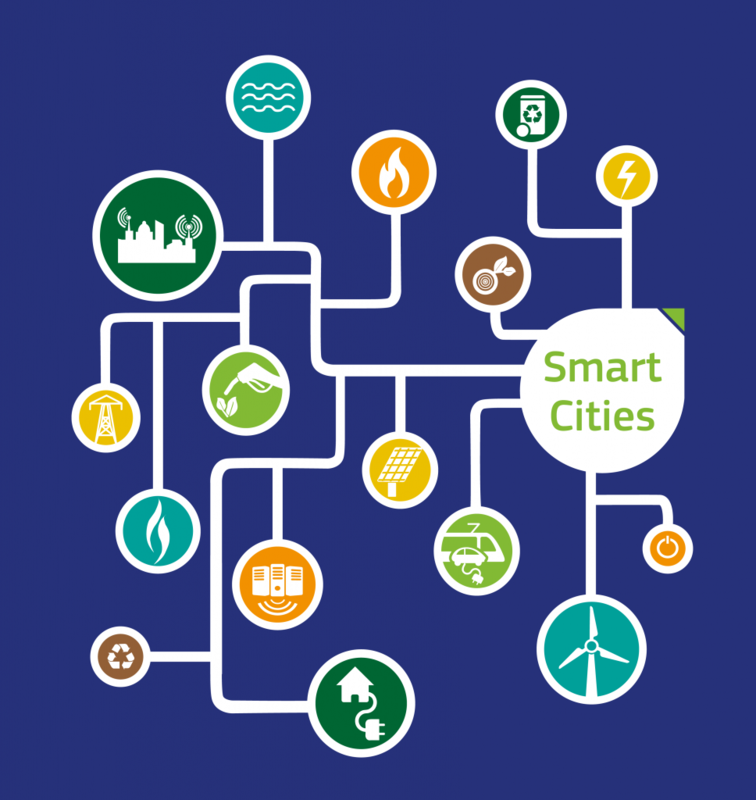 Cities, institutions, industry, project developers and experts – use SCIS to find and share information on how to support the creation of smart cities and energy-efficient urban environments! For example, SCIS has projects in scope that address the problem of pollution and CO2 emissions by cars. This can be by creating more efficient means of transport or providing the citizens alternatives to traditional car usage and offering them tailored ways of moving around the city. Some projects focus on hybrid or electric vehicles including public transport, utility vehicles or even bicycles, others work on developing or improving low emission zones and attractive car-sharing options that offer real benefits to their citizens. The latest thing is a development proceeding from e-vehicles: vehicle to grid (or bidirectional chargers), as used in City-zen Amsterdam. Stakeholders interested to learn more about this innovative solution, can head over to our website and listen to an entire podcast committed to this topic. At SCIS, all these innovative solutions and smart measures are collected within a database that can be consulted. Anyone interested in learning more about different smart technologies or who might be looking for ways to implement smart solutions in their own city can freely browse our website and explore what has worked and what didn’t for other cities. SCIS thus helps not only to overcome, but actually to avoid certain obstacles, thus paving the way for cities to becoming smart sooner than expected! One of the targets of SCIS is to follow closely the development and the results of its projects, in order to promote replication in as many new cities as possible. With its database, SCIS brings together projects with similar foci, different obstacles and experiences, and thus helps to create valuable synergies. More than 100 projects which have applied or are applying technologies in the fields of energy, mobility & transport or ICT in more than 200 European cities regularly contribute content to SCIS. Therefore, if you are looking for a specific project’s targets, its financial or economic barriers or even something as simple as contact details – don’t hesitate and jump over to our website! Ultimately, SCIS aims to be the one-stop-shop for smart city and energy related projects in Europe. Maybe, one day, this will lead to a smart Europe – not only smart cities. In the end, it all comes down to the question: What are the different methods to implement smart technologies in my city? Where do I start and what can be learned from other cities? Use SCIS to benefit from existing business cases and successful practices, to learn about legal barriers and ways to overcome different types of obstacles. Pay us a visit and get in touch with us – we are happy to help you contribute to the vision of a smart Europe!